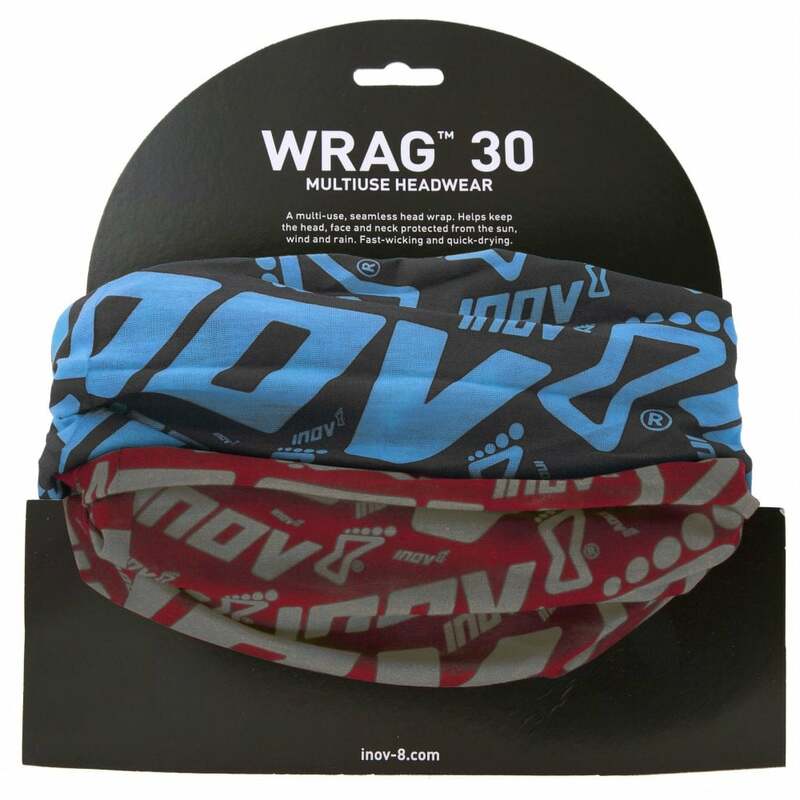 Inov-8 Wrag 30 Black/Blue Red/Grey is a multifunctional tubular, multiuse head wrap, ideal for many activities. Designed to keep you warm in the cold but will also wick moisture (sweat) away from your skin to keep you cool when its hot. The lightweight, breathable, polyester microfibre fabric is extremely comfortable to wear. Keeps the head, face and neck protected from the sun, wind and rain. Fast-wicking and fastdrying. Inov-8 Wrag 30 can be worn as a neckerchief, headband, wristband, mask, hair-band, balaclava, scarf, headband, scrunchie, saharaine, pirate cap, beanie and bandana. A handy buff from Inov-8 with many uses, perfect for your adventures!